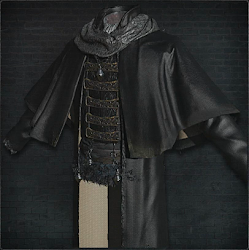 Hunter attire worn by Father Gascoigne. You'll meet Adella, Nun of the Healing Church in the Storeroom of Yahar'gul during your first trip to the village, but shell be too scared to speak with you unless you're wearing Healing Church clothing. To earn her trust, you must equip one of the following pieces of chest attire before initiating conversation: Black Church Garb, White Church Garb, Choir Garb, Executioner Garb, Tomb Prospector Garb or Gascoigne's Garb. You'll also meet Ludwig, the Holy Blade (Head) in the Underground Corpse Pile of Hunter's Nightmare after you defeat him. 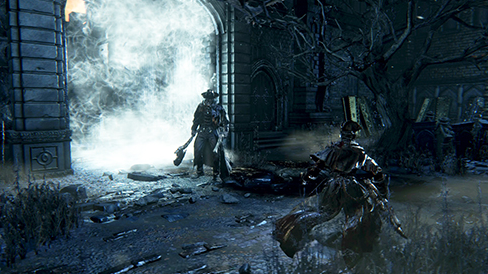 If you're wearing a Healing Church garment in your body slot, Black Church Garb, White Church Garb, Choir Garb, Executioner Garb, Tomb Prospector Garb or Gascoigne's Garb, Ludwig's dialogue will change and he'll offer you a yes/no prompt; answer yes and he'll give you the Holy Moonlight Sword immediately. 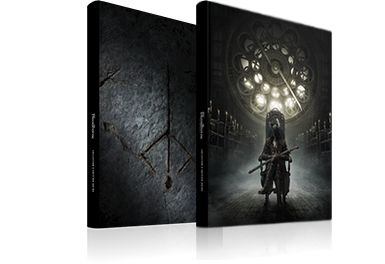 If you answer "no" and reload the area, the Seeker of Secrets will show up and finish Ludwig; at this point you can obtain the sword by speaking to the Seeker.